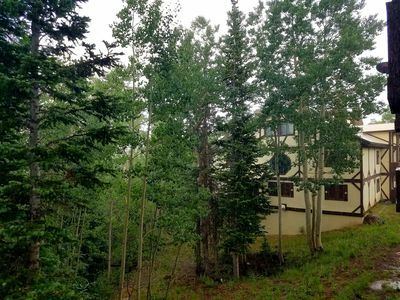 3 bedroom + loft / 3 bath unit. 2 single car garages. Ski get away! 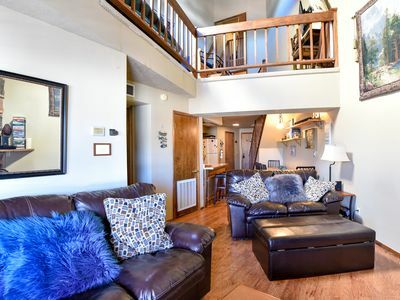 Welcome to The Loft at Brian Head, this Brian Head Vacation Rental is the perfect spot to create memories with your friends and family. The home sleeps 8 in beds. 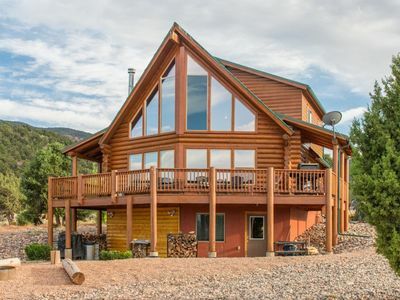 Enjoy having all the home essentials, a garage, and stunning mountain views. 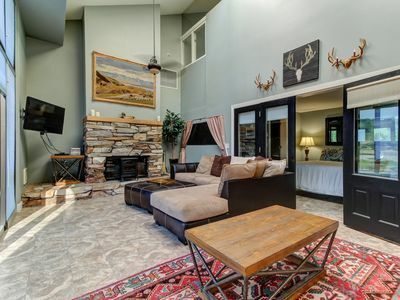 This is the perfect location to enjoy all Brian Head has to offer. 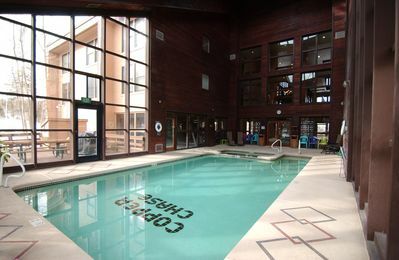 From winters full of snow sports at the nearby lifts, to summertime shopping and hiking, it s all at your fingertips. 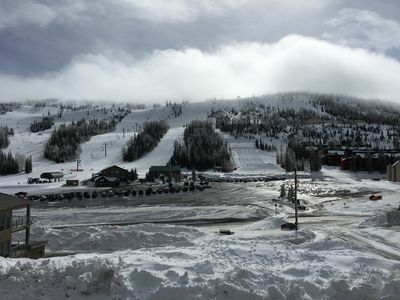 The free shuttle to the lifts even runs every 15 minutes just steps from your door. 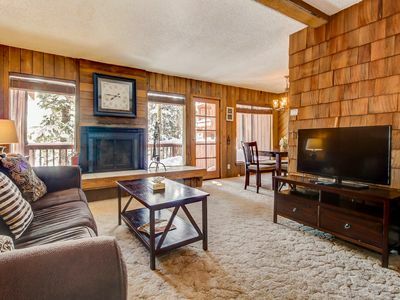 Wood floors throughout the downstairs along with floor-to-ceiling windows and a stone fireplace in the living room create an inviting space for your get-togethers. 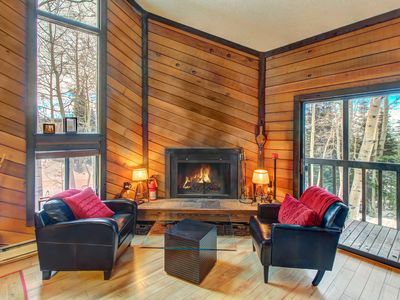 Light the gas fireplace for warmth and ambiance while you enjoying watching your favorite movies. The home has free Wifi. Enjoy this fully equipped kitchen with all the luxuries of home. 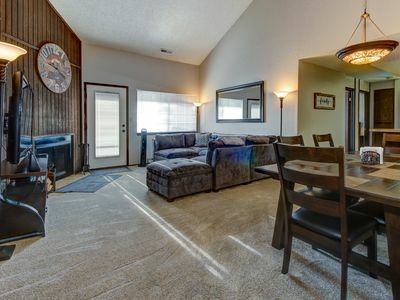 Featuring spacious countertops to prepare the perfect meal, stainless steel appliances and a large dining room table there is plenty of room to entertain family and friends. There is also additional seating on the back patio off the main level living room. 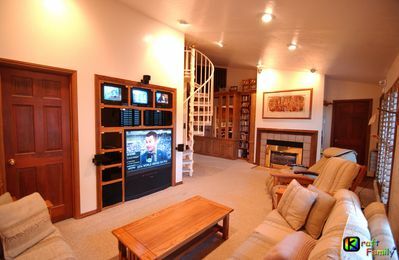 The living room features a flat-screen TV. Also features a loft area and a Ping pong table. Featuring three bedrooms and three full bathrooms. 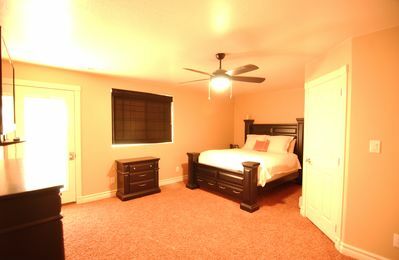 Featuring a King bed in the master suite. Also, enjoy soaking in the attached bathroom s jetted tub. 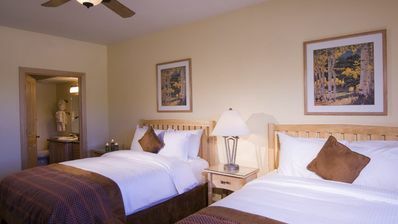 The second master bedroom features a king-size bed, and the open loft area offers more sleeping options with two sets of twin bunk beds. 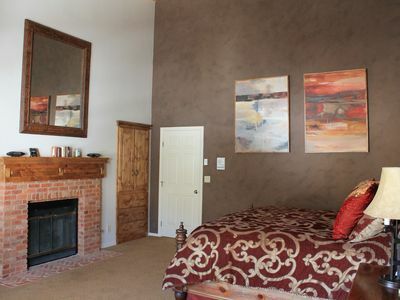 Each bedroom and the loft have a smart TV that can stream apps, such as Netflix and Amazon Prime, and a DVD player. An upright arcade video game with over 60 classic video games can be played in the loft - fun for adults and kids alike! 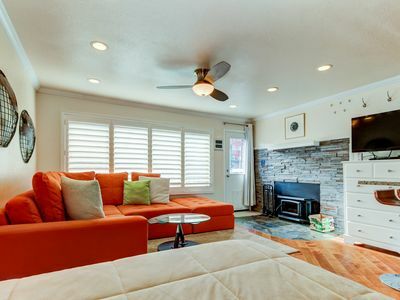 This home also comes with a private washer/dryer. 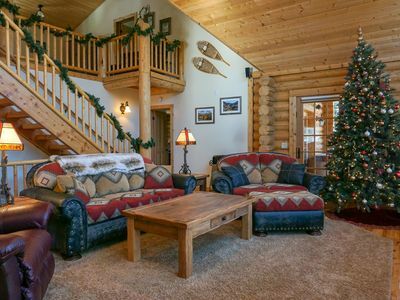 Staying in the heart of Brian Head has many benefits. 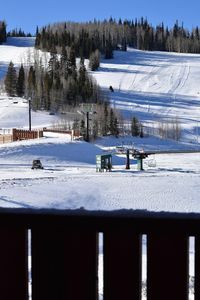 Take your skis and snowboards and head right over to the lifts at Brian Head Resort. There are slopes for all abilities, and you can even let beginners take lessons before starting. And don t miss out on the new tube run! 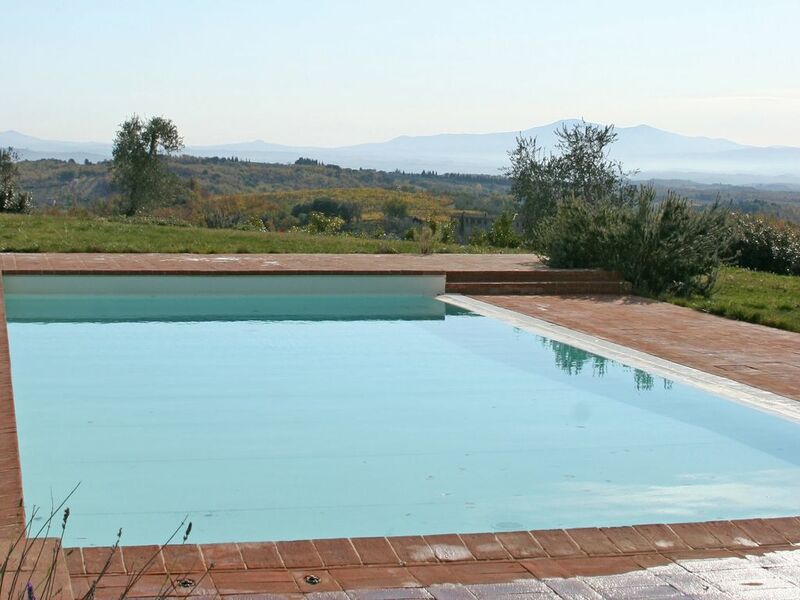 Hiking trails and biking paths are close to your vacation home. Also, close to shopping and dining. Year Round Fun! 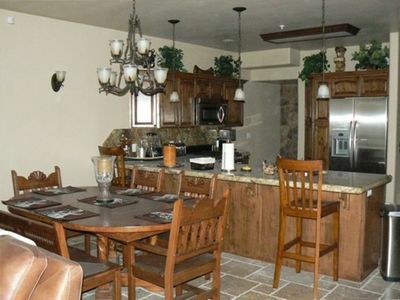 Don t Delay Book this Southern Utah Vacation Rental today. 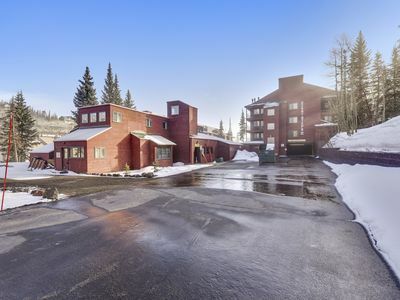 Cozy Ski-in/Ski-out Condo with Mountain & Pond Views. Comfortably sleeps four. 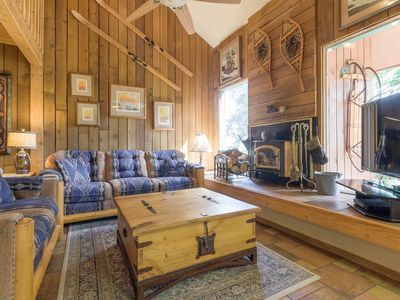 Beautiful, pet friendly cabin on over 5 acres! 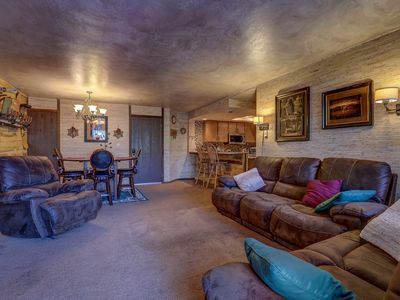 Big enough for your whole group to stay under 1 roof.